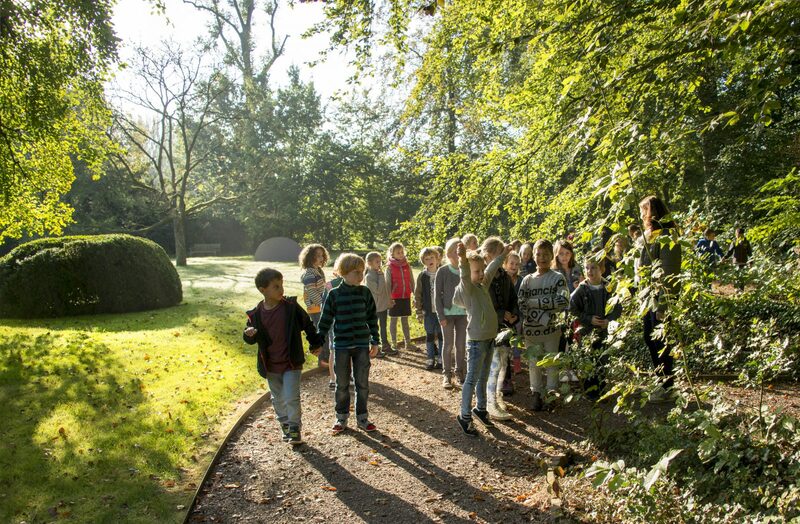 Kasteel Wijlre estate organises a varied programme of educational projects, focusing on primary and secondary education (VMBO, Mavo, Havo, and VWO). The educational programme combines the estate’s unique characteristics: art, nature, architecture, and cultural heritage. Accompanying the exhibitions and projects, Kasteel Wijlre estate develops workshops based on the works show. The workshops consist of a responsive element in which students view the exhibition with a guide and a reflective element that includes an assignment. This enables the student to gain an understanding of exhibition themes in their own way. Kasteel Wijlre estate works together with partners such as the CNME and the Butterfly House of Stefan Cools.